Everything old is new again, as is common with all sorts of trends, but now Millenials are seeking out a simpler, more nourishing philosophy of food. Thanks to their renewed commitment to health, the principle of "eating clean" has found a home in this demographic. And, for some of their parents as well. Eating clean is a new way of referring to a relatively longstanding mindset. In the 1960's, the natural food movement rejected processed foods, which were wildly popular at the time, not for health reasons, but rather for ethical ones. Today, it's about choosing more nourishing options than those offered by giant corporations that use unrecognizable chemical ingredients. The whole idea behind eating clean is a reliance on healthy, whole and unprocessed food. Rather than counting calories, or restricting oneself to one kind of food (like, for instance, only those low in carbohydrates), this guiding philosophy is more a lifestyle, a consciousness about what qualifies as nutritious. Those who practice it find that it gives you more energy, and because it's flexible and thus adaptable, regardless of your unique routine. For our modern times, where people generally feel pressed for time and always in need of quality fuel to burn, it's the perfect fit. 1. Stop eating processed foods in favor of whole, natural foods. A simple rule to remember is that if it comes in a box, can or brightly colored packaging, it's probably processed. Your grocery cart should be full of color, but only natural colors - fruits, veggies, nuts ... you get the idea. 2. Just say "no" to refined foods. Obviously, it takes a great deal of effort to do this 100% of the time, but committing to a daily intake of whole grains from sources like brown rice, quinoa, amaranth and millet is definitely the way to go. And don't forget legumes and beans, as they're great vegetarian sources of protein. You'll also want to end your consumption of high fructose corn syrup, opting instead for sugars from maple syrup, honey and dehydrated sugar cane juice. 3. Say "goodbye" to meals with huge portions. Instead, spread out your consumption with 5-6 small meals evenly spaced throughout your day. These meals don't have to be all exactly the same size. A less drastic change for people who are accustomed to eating breakfast, lunch and dinner is to have three primary meals with small snacks in between. 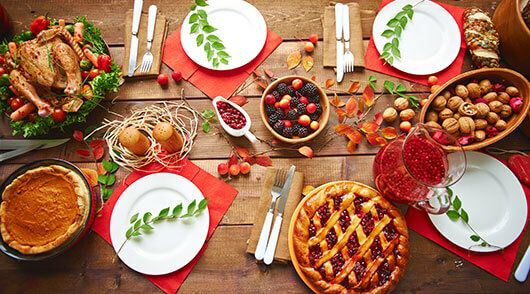 By adopting the small-snack strategy, you'll be less inclined to overeat at your main meals. Additionally, you'll find that spacing out your meals and snacks will help keep your energy up and your blood sugar levels even. 4. Every meal should include proteins, fats and carbohydrates. Most Americans don't need to be told to consume carbs and fats, but we often fall short when it comes to protein intake. Not only is protein essential for healthy muscles, it's great for curbing your appetite. Like with almost anything in life, balance is key. 5. Don't overdo it when it comes to the consumption of sugar, fat and salt. Don't worry, it's not that difficult when you eliminate processed foods from your diet. As you live with your new mindset, you'll soon find this is true, because clean foods are typically low in all of these ingredients. 6. Remember to move your body. Just as important as consuming clean foods is using that fuel to power regular physical activity. Establishing an exercise habit may be challenging at first, but within just a few weeks, it'll become second nature. Not only will you feel better, you'll sleep better too! And when you're burning that healthy fuel, you'll be decreasing your body's store of fat while also building your muscles. Soon, you'll be burning more energy even when you're resting, with the added benefit of improving your heart, lung and bone health, too! We hope you'll start adopting some of these super healthy clean food attitudes and habits. We guarantee that once you commit to living healthier, you'll be able to enjoy the fruits of clean eating. A whole new generation has rediscovered the principle of "eating clean." Find out why people are so committed to this mindset, which is much more a philosophy than a fad diet. It’s a common belief that cats are highly susceptible to stress. How many memes have you seen referencing “neurotic kitty”? But the truth is, a cat’s normal state shouldn’t be stressed, she should be happy and relaxed! If our kitties are constantly showing signs of stress and anxiety, we owe it to them to identify solutions to help them feel better. 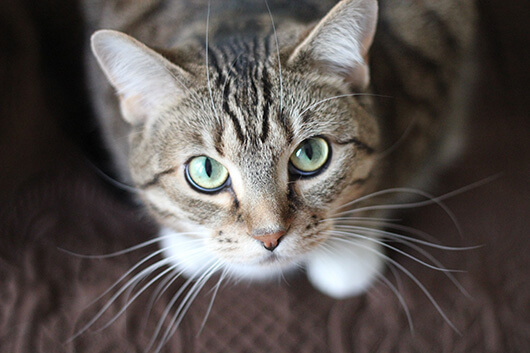 Over time, stress hormones can contribute to physical symptoms such as diarrhea, constipation, changes in appetite or even the painful condition known as Feline Lower Urinary Tract Disease (FLUTD). 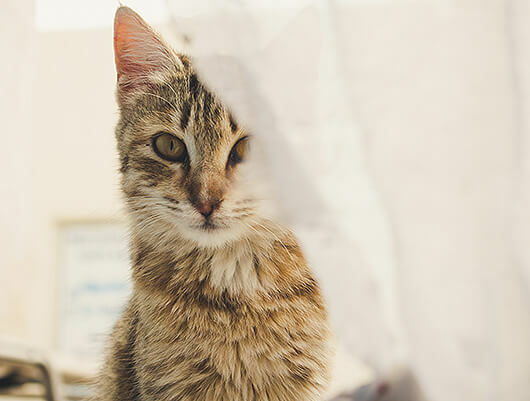 Be aware that these signs are symptomatic of other medical conditions, so don’t be too quick to assume you’re dealing with feline anxiety before discussing the symptoms with your veterinarian. One of the best ways to minimize the likelihood of chronic medical conditions is to feed your cat a high quality, appropriate diet. Since you’re reading the Life’s Abundance blog, I’m probably preaching to the choir on that topic! Let’s say your cat is exhibiting one or more of these signs of anxiety. You’ve brought her in for a check-up and medically, everything checks out. What next? First, try to pinpoint the source of the stress and eliminate it, if possible. We tend to view these issues through our human lens, so it’s important to remember that unexpected things can be at the root of your cat’s stress. Some of the more obvious reasons include changes in living conditions – from divorce, moves, a new companion animal in the house, or new babies – to the most obvious physical cause, which is pain. But little changes can also provoke anxiety: new furniture, a neighbor’s dog barking, a dirty litter box, being denied access to their favorite location, a neighborhood tomcat taunting them from the yard, even music they don’t like! As you can see, it’s a long list. Environmental modifications can make a big difference. For indoor cats, boredom can be a near-constant stressor, so provide lots of vertical space for exploration (they love being elevated). Home-built or store-bought cat trees are a great solution. Puzzle feeders can be a good source of environmental enrichment, as they appeal to their hunting instinct. Pheromone diffusers or sprays can also have a calming effect for some. And lastly, make sure your kitty is getting daily interaction and enrichment with you. It’ll build their confidence and form deeper connections with their caregivers. Believe it or not, many behaviorists recommend clicker training as a great way to bond with your cat. This gives her a sense of control over her environment and also offers the promise of a yummy incentive like Gourmet Cat Treats for Healthy Skin & Coat. Cats can learn amazing tricks with clicker training and treats, but it’s also a great way to reward good behavior generally. Try to set aside some one-on-one time for your cat in the space where she is most relaxed. Optimally, this is something you’ll do every day at the same time, because cats are true creatures of habit. No distractions, which means leave your phone in another room and turn off the TV. Brush, pet, sing … do whatever pleases your cat the most. It’ll be good for both of you! A happy cat means a happy you! If you think your cat is suffering from stress or anxiety, try some of these suggestions to help them live the “purr-fect” life. The inherent dangers that frigid winter temperatures pose to animals are common knowledge. But you should also be mindful of the threats linked to other outdoor hazards, possibly lurking in your own front yard. Beware the six seasonal hazards outlined in this handy infographic … it might just save your dog’s life! 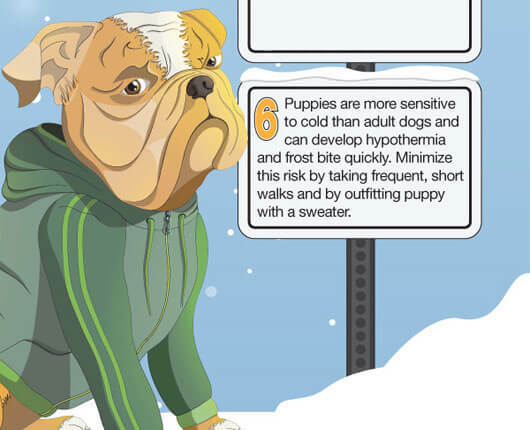 The inherent dangers that frigid winter temperatures pose to animals are common knowledge. Traveling with pets is much more common these days than in years past. But, for all those times you can’t vacation with your companion animal, boarding offers a sure-fire way to make sure that their needs are provided for. To that end, this month’s episode of Pet Talk offers five practical tips for better boarding! 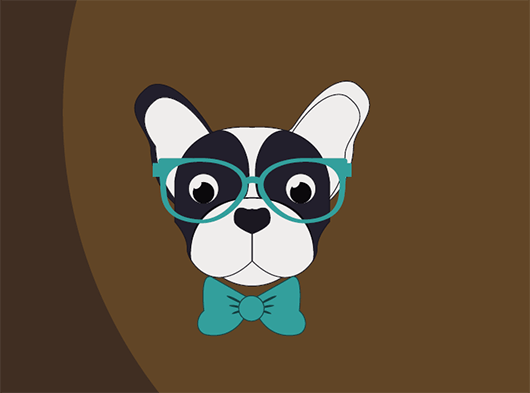 Dr. Sarah knows plenty about this area of pet kid care, and she’s eager to share her ideas with you. From commonsense practicalities to “gosh why didn’t I think of that” gems, you’re certain to learn something to help make your dog or cat’s next stay pleasant, safe and healthful. Best of all … you’ll be able to rest easy, knowing that your pet kids are too. Do you have any additional insightful boarding tips for other pet parents? Or, have you ever had a bad boarding experience and wished that you had known to do something differently beforehand? Share your stories with us in the comments section below. For some pet kids, trips to the veterinary clinic can be quite traumatic. 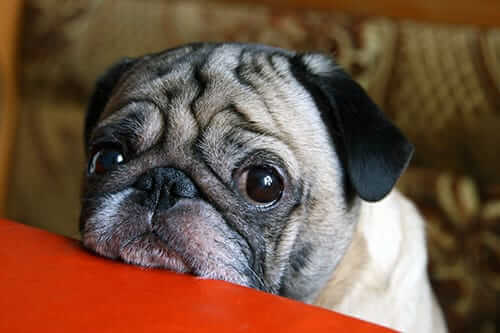 Some dogs and cats even seem to have a sixth sense, trembling in fear when an appointment approaches. Fortunately, we have an inside voice to give us tips for calming vet-visit fears … our very own Staff Veterinarian! If your companion animal experiences mild-to-severe apprehension when it comes time for a check-up, you will not want to miss this episode of Pet Talk! In this video, Dr. Sarah reveals six measures anyone can take to ensure fear-freeTM visits to the veterinarian. Thank you so much for watching and check back next month for a new episode of Pet Talk with Dr. Sarah. And be sure to submit your comments below.